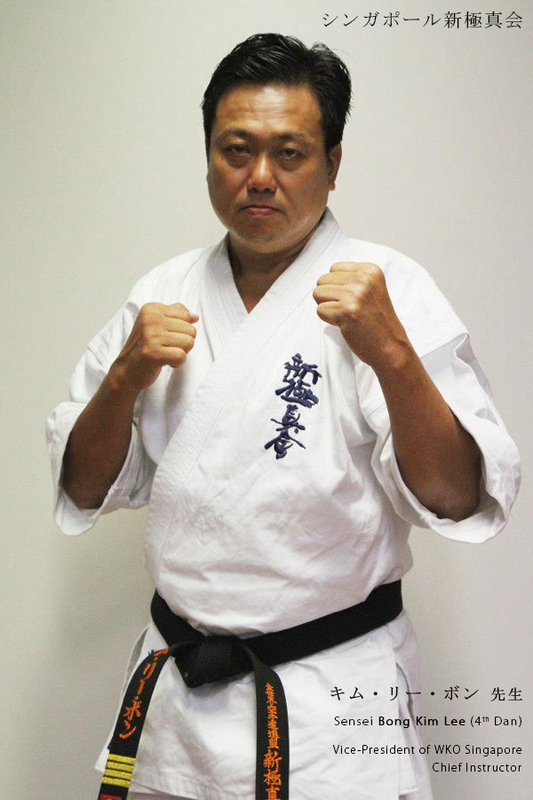 Shihan Bong Kim Lee is the Branch Chief of Singapore and the Vice-President of the World Karate Organization (WKO) Shinkyokushinkai Singapore. He started his Karate training in 1983, and currently holds a 5th degree black belt in addition to being a certified associate referee. Shihan Bong’s experience extends beyond the technical aspects of Karate (which he constantly upgrades through active research) to being a successful event organiser, experienced fighters’ coach, and tournament official. Shihan Bong is an extremely dedicated mentor whose passion and speciality is training up-and-coming tournament fighters. He was appointed Head Coach to the Singapore team in preparing for numerous international tournaments and has a proven track record in also training female fighters. Shihan Bong believes that with the right attitude and spirit, everyone has the ability to improve their fighting techniques and skills.